A successful exhibition can be a significant boost up for your business and flourished campaign organizers need to pay full attention to several things. In this blog, we are going to add some winning factors of an exhibition that would help you in grabbing the attention of visitors. Great chance for entrepreneurs to convey an effective meaning of their brand but make sure it should be simple enough for easy to understand. Let’s have a look at the following factors that can make your business talkative in all sectors. Well, this one can be attention grabbing factor for all the visitors where they can find your brand with some interactive digital view. 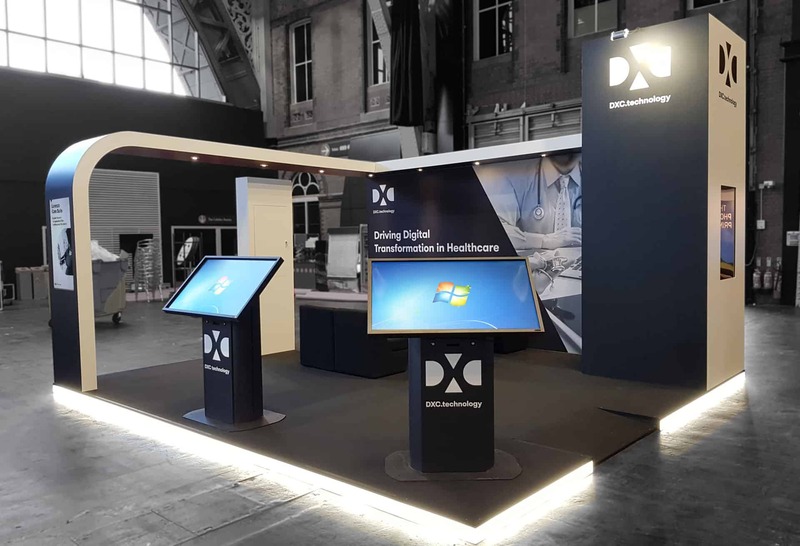 Larger screens would display your brand in an effective manner that would be irresistible for everyone, and you would see it’s easy to gather a crowd at small stand even with the interactive digital view. Make sure it’s easy to understand. Arrange a small gaming competition as well for fun and excitement and cheer all visitors with exciting giveaways. A meaningful message can describe your brand in a short line that would be easy for everyone to get rather than asking in detail. It has been emphasized that every brand should have a quick and meaningful message to attract visitors. Display this message over the customized stands with a colorful scheme to attract customers. You would see Custom stands in Birmingham are often designed to fascinate visitors with attractive taglines of all brands in every exhibition. You wouldn’t be alone in the exhibition. Each stall has to perform better than others, and in this scenario the firstly color scheme is the primary thing that can grab the attention of all the visitors. We suggest you keep the color scheme soft rather than choosing vibrant colors that can be eye stinging for many visitors. Go wisely with the colors. Every stand struggles hard for the individual identity in the entire exhibition. No one wants to look like other competitors so for this unique design and color scheme always grab the attention of people. Organizers need to do brainstorming for their eye catchy exhibition stands. Get a unique identity of your stall by scouring exciting designs that can give your brand a unique identity from others. These are some winning factors of your brand in the entire exhibition. If you would work with great attention to these things, then you can have an amazing outcome with profitable revenue. Stand plays a significant role, and it can boost your business by all means.